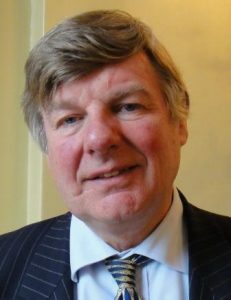 Lord Erroll (Merlin) plays an active role in thought leadership in the ICT arena, especially around the Internet of Things (IoT), Cybersecurity, Intellectual Property, Broadband and the Internet. He worked for many years in software development, as well as serving in the Territorial Army. Recently he participated in the Payments Fraud and Security Conference and frequently speaks on cyber security issues. He chairs the advisory board of the Innovate UK funded HyperCat consortium which is developing an IoT interoperability initiative. He is active in several Parliamentary groups, especially looking at the impact of regulation on business and the internet, and takes a particular interest in Cyber, Countryside & the Environment, the Constitution and Scottish matters. He chairs both the Digital Policy Alliance (formerly EURIM) and the All-Party Group on Entrepreneurship. He chairs the Flexeye Advisory Board and sits on several others. He was inducted into the Infosecurity Europe Hall of Fame in 2010.